The idea of speciesism is central for the proponents of animal rights. According to Encyclopaedia Brittanica, speciesism is “the practice of treating members of one species as morally more important than members of other species”. It usually refers to “human speciesism”, the exclusion of all nonhuman animals from the protections afforded to humans. The term speciesism was coined in 1970 by animal rights proponent Richard D. Ryder to argue that granting humans more rights than animals is an irrational prejudice. 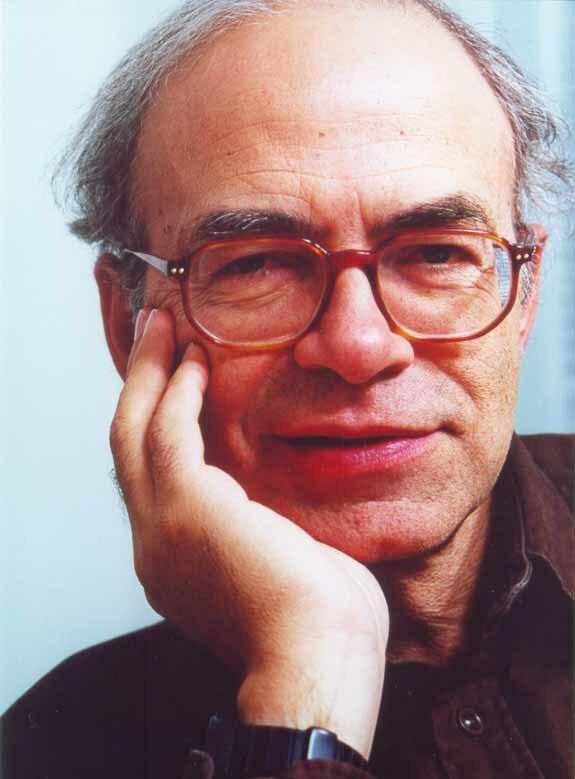 The term was popularized in 1975 by the philosopher Peter Singer, known for his contributions to Utilitarian philosophy and his book Animal Liberation. The idea of speciesism is intrinsically linked to the idea that humans and animals have the same moral value. For the sake of clarity, in this discussion I will refer to “humans” and “animals” as separate categories, although it is clear that humans are an animal species. I will argue here that assigning the same moral value to all animal species is not just impractical, but ultimately absurd. Therefore, speciesism is unavoidable. When one tries to argue that humans deserve a higher moral consideration than animals based on their ability to reason or their superior intellect, animal rights proponents answer that those characteristics are not morally superior; we simply choose them because they work in our favor. By the same token, for example, an elephant may reason that having a trunk makes him morally superior. This idea merits careful consideration in light of what we know about animals. But, first of all, let’s establish that speciesism logically works between any two species of animals. If there is no reason to say that a human is superior to a dog, then by the same token we cannot say that a dog is superior to a rat. That gets us quickly in trouble, because the collection of animal species is vast and includes some whose lives we generally hold in contempt, like roaches, worms, ticks and mosquitoes. Regardless, committed animal rights activists will argue that all animal life deserves protection. “A rat is a pig is a dog is a boy”, remember? To that end, they were quick to criticize President Obama for killing a fly. Ok, maybe some animal right activists will say that they are only talking about protecting mammals. How very speciesist of them! By what token would they prefer a stinky mouse over a beautiful (and highly intelligent) crow? Or a nice cuddly octopus, for that matter? The point is, any argument that you choose to decide that a species is better than another is going to be ultimately human-centric. Or not? Can we come up with an idea that would let us decide who gets to live and who gets to die? Animal right activists are often vegan, which means that they think is justifiable to kill plants to eat them. Plants are living beings, too. And they come in species, just like animals. So what does an animal have that a plant hasn’t? A nervous system? Well, not all animals have neurons, sponges don’t (sorry, SpongeBob!). OK, so sponges are off, and so are other nerve-less animals. How about jellyfish, corals and starfish which have a nervous system so rudimentary that they can barely feel anything? Would it be speciesist to kill this tick to save the dog some discomfort? A while back, I presented animal rights philosopher Gary Francione with the following dilemma: “My dog has ticks, what do I do?” If I kill the ticks, that is morally wrong (according to his animal rights position), because I would be sacrificing the life of an animal (the tick) for the mere comfort of another (the dog). So obviously the only ethical action would be to leave the ticks on the dog. Any other action would be based on the assumption that the dog is somehow superior to the tick, which would be tantamount to speciesism. Gary Francione suggested that “sentience” has to be a factor in the decision. “Sentience” is a word that you hear animal right activists often toss around as the criterion to protect animal lives. But sentience is a notorious tricky concept. It is a synonym of “consciousness”, and understanding consciousness has been dubbed the “hard problem” by philosophers and neuroscientist alike. Some, like philosopher David Chalmer, even think that is intrinsically impossible to solve. Neuroscientists continue to work on this problem. Research on the neurophysiological correlates of consciousness is advancing at a good pace. Yes, we generally assume that a dog is conscious, but how about a rat, a fish, a roach? Is there a gradient or a scale in sentience? If we are going to make any kind of assumptions on what animals are conscious (“sentient”) and which are not, we need to bring in our knowledge of their nervous system. And, in this regard, the overwhelming majority of animal species seem to fall woefully short. For example, the mollusk Aplysia californica (widely used in the lab to study synaptic connections) only has 20,000 neurons, while we have in our guts (the enteric nervous system) a hundred million neurons. So, if our gut is not conscious, we have no reason to think that Aplysia and any mollusk like it are conscious, either. So, there you go, now you can eat clams with a clear conscience, they are no more sentient than carrots! The point is that we have come to admit that there is a scale of sentience: some animals are more sentient than others. We have also established the criterion of “sentience” as the one to decide on the moral value of beings. From there, it can be argued that humans deserve of special consideration because we have a special kind of sentience that no other animal has. But that is a discussion for some other day. The key issue is that we have sufficiently established that speciesism is unavoidable. No matter how we put it, we are always going to give some species a higher moral status than others. This leads us to the animal welfare position on how to treat animals, which is quite different from the animal rights absolutist position. As proponents of animal welfare, we care for pain and distress that animals may suffer and try to diminish it, but not because animals have rights, but because our human nature compels us to do so. Moreover, we do not think that all animals should be treated the same. A chimpanzee, a dog, a mouse, a fish and a fly do not have the same moral status. You can do things to one of these animals that you should not do to the other. They cannot be treated as equals. This may sound like a silly discussion, but in fact the issue of the value of the human life is hugely important because it goes to the very core of every system of ethics. If we say that a human life has the same value as the life of rat, that not only increases the moral value of the rat, it also decreases the moral stature of the human. Therefore, the argument for animal rights is a challenge to our more basic values and should not be taken lightly. Furthermore, there is a logical connection between the core idea of “animal rights” – that human lives and animal lives have the same value – and the violence of animal rights extremists. If the life of an animal is so valuable, then that justifies extreme action to protect it. And if human life is as valuable as the life of an animal, then the calculus of destroying a few human lives to save many animal lives is nothing more than a logical conclusion. Yes, one may argue that the end does not justify the means, but in fact we, as a society, constantly break that principle. For example, most would believe it justified to kill an assassin to save the lives of its victims. By the same token, the animal rights terrorist finds justifiable to kill a few scientist if that is going to save the lives of many of animals used in research. To quote Jerry Vlasak: “So yes, I think the threat of violence would save lives, innocent lives”. His logic may be sound, what is profoundly wrong is his assumption that the life of an animal has the same value as the life of a human being. Posted on March 20, 2014 February 26, 2016 by EditorPosted in News, PhilosophyTagged gary francione, Peter Singer, Richard D Ryder, Speciesism. In cases of self defence I may choose a family member to protect rather than the human attacking us – this does not mean I am against human rights in situations of no conflict of interests. It does not invalidate the principle of trying to accord equal consideration of interests to all humans. Similarly in the case of animals this argument does not invalidate the attempt to be non-speciesist as far as possible and practical. In no way does it negate veganism. It is typical of these types of argument to attempt to argue from ‘grey areas’ at the intersection of sentience/non-sentience, necessary/unnecessary and avoidable/unavoidable to justify cases where there is no conflict of interests and the situation is one where we know animals are sentient and their exploitation is clearly avoidable and unnecessary. As Tom Regan argued ”It often is not easy to know exactly where to “draw the line.” For example, we cannot say exactly how old someone must be to be old, or how tall someone must be to be tall. However, we can say, with certainty, that someone who is eighty-eight is old, and that another person who is 7’1″ is tall. Similarly, we cannot say exactly where to draw the line when it comes to those animals who have a psychology. But we can say with absolute certainty that, wherever one draws the line on scientific grounds, primates and rodents are on one side of it (the psychological side), whereas slugs and amoebas are on the other — which does not mean that we may destroy them unthinkingly.” No matter where you draw the line for sentience the animals routinely exploited are well above that line anyway. So focusing on the cases we are unsure about seems disingenuous when we know that pigs, sheep, cows, chickens, turkeys goats and all other animals exploited by humans are well above any areas of intersection of sentience/non-sentience. People will be pedantic about what constitutes ‘unnecessary’ and ‘as far as is practical and possible’ and ‘avoidable’. So you get embroiled in semantics at these areas of crossover and people say you can always do more – but of course aren’t doing the very least themselves. Adapting Regan’s answer to necessity we can say that wherever the person draws the line for what is avoidable most animal exploitation is above that line and what is avoidable therefore should be. We can’t say for sure what is avoidable at some ‘intersectional’ areas we can definitely say most areas are avoidable such as meat, dairy, eggs, honey etc. and animals used for entertainment, fashion, cosmetics are also entirely avoidable. Pointing to grey areas of uncertainty does not justify areas where the issues are more ‘black and white’ and where alternatives do not cause more animal exploitation, confinement suffering and killing as well as environmental and ecological damage and use of resources we have a clear obligation to choose the better option. (see endnote on Fallacy of Gray and Continuum Fallacy) People will say it is only the lesser of two evils or a numbers game but then choose the greater evil and the biggest number – where is the logic in that? Essentially you are ‘moving in the opposite direction’ to veganism along your continuum and infact making a huge leap in ommitting moral consideration to whole groups of animals. If veganism progressively eliminates unnecessary animal use, even accepting your continuum of extension of moral consideration then it extends that circle outwards from humans to include as many species as possible. Anti-vegans will do the opposite – arguing from the grey areas I mentioned and then making the leap to justifying exploitation of more species up to where it perhaps intersects with some companion animals or causes they support like banning bloodsports etc but only because they are not complicit in these anyway and so no change in the status quo is necessary to object to these particular cases of animal cruelty. Veganism argues to extend this circle to be more inclusive on the basis of shared morally relevant criteria – anti-veganism does the opposite looking for differences with animals in order to exploit them. You probably already oppose what you consider unnecessary animal cruelty and boycott those industries – veganism is merely an extension of this principle to equally cruel industries – it is logical in the way a parsimonious principle like Occam’s razor is. If you oppose bullfighting then it is more consistent to oppose dairy also and continue eliminating what is unnecessary in this manner. The illogical thing to do is to say not everything can be avoided so therefore I won’t avoid anything and employing the Nirvana fallacy. Saying the vast majority of animal species fall short of a criteria for sentience is irrelevant when sentience or having subjective experiences is the criteria. Can you name a morally relevant criteria separating pigs from dogs? How does this argument affect whether we should consume dairy or confine, transport, ‘process’ without pain relief and kill pigs? If you say it doesn’t then I’d agree and for this reason the argument doesn’t affect veganism and if you do agree with the principle of avoiding causing unnecessary animal suffering you should be ‘at least’ vegan avoiding what is possible to avoid. Arguing that some thing are unavoidable only highlights cases where people do not avoid things for reasons that are trivial compared to an animal’s interests such as taste, tradition and convenience. https://www.youtube.com/watch?v=XSt0lqU4MEI = Mylan Engel Jnr – Do Animals Have Rights? files.meetup.com/…/engel%20Mere%20Considerability%20paper.pdf – The Mere Considerability of Animals. So des that mean we shouldn’t try or do our best. And because we are their will probably always be racism, sexisim, speciesism . But that doesn’t mean we throw our hands in the air give up and take part in it. This is so silly, this argument achieves nothing, has no valid points is totally illogical. The author notes it is impossible to be utterly un-speciesist. The same is not true of racism – you can live an ethically consistent life without being racist. 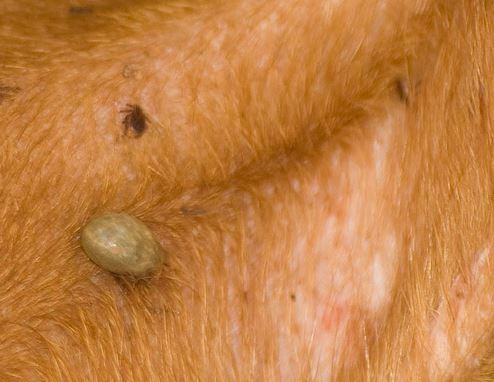 A) Removing a tick from the dog is defense of a family member. Same as self defense. It’s a matter of choosing a familiar individual over a stranger, especially when the stranger is threatening the familiar individuals well being. I think you’ve understated the dangers of allowing parasitic animals to remain on those in your care. You can often remove the tick without killing him anyway. Would you say choosing a familiar human over an unfamiliar one undermines the case for human rights? B) Even if you can make a case for certain animals having different treatments over others, or even humans being superior, why can’t all sentient beings share the right not to be used as human resources? It seems these grey areas/hypotheticals serve only to distract from the very real problem of exploiting nonhumans for transparently frivolous purposes. C) Assuming you discount the notion of animal rights altogether- our ‘natural instinct’ to protect animals still logically leads us to veganism being the only rational response. D) The potential sentience or non sentience of sea slugs hardly excuses our mass exploitation and the suffering of animals we know are sentient (mammals, birds, reptiles, amphibians, fishes, cephalapods, crustaceans, insects). Sure it’s obvious that sea sponges and sessile bivalves (oysters and mussels) aren’t sentient but in the case of sea slugs, starfish, worms etc it seems to make sense to give them the benefit of the doubt, especially when we could so easily live without exploiting them. E) The suggestion that because our stomachs aren’t sentient smaller complete organisms wouldn’t be is absurd. Our stomachs are not independent organisms that need to navigate through the world. F) What is it precisely that you can do to a fish that would be wrong to do to a chimp? Are you even aware of the abundance of research into the complex cognitive capacities of creatures like fish and invertebrates? There’s no valid reason to treat one as property and not the other. G) It seems obvious to me that if a human was lethally threatening a beloved family cat, dog, rabbit etc that most people would kill that human if they had to. If human life was absolutely more important than nonhuman life this would not be the case. H) If we met a human with the mental capacities of a chicken, pig, sheep, deer, rat, bee, lobster, cow etc we would still treat them as persons with rights. The decision to exclude animals is then based only on their looking is different from us. Species is clearly a poor criteria for inclusion in the moral community. I) Racism, sexism, ableism, sizeism and other forms of bigotry are also unavoidable. I think we can safely say we will never have a world fully rid of them. Does this mean we shouldn’t try? The fact that we can’t achieve moral perfection doesn’t undermine the case for rights. …Essentially your argument is ‘we are speciesist and it’s hard not to be so we shouldn’t try’. Weak. Very weak article. The key issue isnt speciesism, it IS the myth of human moral supremacy. You are right–humans are not superior to other species–Nature shows us this. Humans get no exemption from weather or gravity or other forces. They are mortal. The best evidence we have that humans arent morally superior is that humans routinely exploit other humans. All the time. Human supremacy over nonhumans is like white supremacy or christian supremacy–its an idea, a belief, a myth. Not an instinct. Vivisection is totally immoral because it is a perversion of altruism–you torture innocent lives and claim you are being compassionate.Obviously the best research model for humans is humans-we would never say something absurd like a giraffe is the best model for an elephant therefore how can a rat be the best model for a human? Its BS. Vivisection hucksterism. If you check your history vivisectors used to be called soothsayers and augers–they cut open animals and claimed it was the will of the gods and would help society. If rats and other species were actually useful in any significant way then Dr James Sims, president of the AMA, wouldnt have tortured slaves for his research. The Salk brothers wouldnt have infected mental patients with influenza, and Pfizer wouldnt have exposed villagers in Africa in medical research experiments in the 90s. We wouldnt need any human medical trials either. Its a scam–and people fall for it because they regard humans as morally superior, just as slaves were regarded as morally inferior in the 18th century. Forget about moral perfection-you’ll never get it. Not even if you focus on human rights or anglo saxons or christians etc. Humans are too irrational and prone to violence to control their behavior the way other species do by Nature. Here’s the easiest way to debunk the vivisector’s logic (or whatever you want to call it). If you had to choose between saving a family member or a stranger, who would you save? If you choose your family member, does that mean a stranger deserves to be used in research and that human rights laws are pointless? The usual answer is no right? Just because you cant be morally perfect, doesnt mean you strive to follow a correct moral idea. Thus its the same with dealing with nonhumans. Just because you cant be perfect in dealing with insects or plants, doesnt mean farms and labs are justified–if you say that, then the same would apply for random homicides being a justification for mass murder. Humans are the only ones that craft laws in a desire to control their behavior, thus they are the ones obligated to follow them. Nonhumans do not need them and benefit by default. If you try to argue that they should be excluded because they dont comprehend human moral concepts it is like demanding an armless man catch drowning swimmers and punishing him when he fails to do what you know he cannot do. Not fair. So forget speciesism. Its really about the human supremacy myth. Every attempt to define a criteria that claims human superiority fails because it can be shown to be biased personal opinion, just like skin colour or gender or a particular interpretation of scripture. In the end you really cant have a just and fair concept of human rights without having nonhuman rights. Visit the Supremacy Myth Animal Rights Argument blog for more iron clad arguments to use against those who repeat the human supremacist myth. all of this false logic and selfish justification is thrown out the window when you yourself are a victim of violence and exploitation. the people causing harm to helpless others for their own personal gratification are always under the delusion that they are justified in doing so but that in no way diminishes the suffering and death of their innocent victims. until we start treat ALL others, regardless of species, the way we ourselves wish to be treated, this world will never even being to be a peaceful happy place but instead will continue to be hell on earth for the vast majority of life forms. What is the point you are trying to make. This article is illogical and very silly. Whether humans are more subjectively important to us than other animals is not relevant to our unnecessary exploitation of billions of animals for food. The fact is, we force animals to suffer unnecessarily for no other reason than our palate pleasure. At the same time, we say that we believe, as a general principle, that it is wrong to cause unnecessary harm and suffering to animals. We oppose such things as dog fighting and whale hunting. We are outraged by the story of a teenager who tortured and killed his cat for kicks. If it is wrong to inflict unnecessary suffering in one case then it is wrong in all cases, particularly in those cases where it can be so easily avoided. It cannot be “right” in the case of chickens, turkeys, pigs and cows and wrong for all other species. The prejudice to the former species of farmed animals is the most obvious form of speciesism we could so easily rectify. Even non vegans already believe that the world would be a better place with less suffering. People don’t go around saying, “If we could just have a little more suffering on this planet, things would be a lot better!” It is not hypocritical to hold a belief in veganism or oppose speciesism and yet be unable to avoid all products and by-products of animal exploitation because of circumstances well outside of our control, just as it is impossible for someone who opposes slavery to avoid all of the products and outcomes derived from the institution of slavery, like the roads we still drive on or the battles that were fought with slave soldiers. The perfect is the enemy of the good, as has been often noted. Perfection is not the goal of veganism. Vegans seek to abolish the enslavement and exploitation of nonhuman animals. Human exploitation of animals is the most widespread, gratuitous and needless form of animal suffering and death on the planet, and we can end it simply by making a few adjustments to our diet and lifestyle. Vegans simply stop buying meat, dairy and eggs, foods containing animal-derived ingredients, and animal-based fabrics and accessories. Everything else — all the secondary by-products and ingredients that can be found in such things as adhesives and cosmetics — exists only because of the slaughterhouse industry, which exists only because of consumer demand for meat, dairy and eggs. The notion that it’s impossible to be 100% vegan, so why try? implies that if we cannot raise food without harming anyone, then we might as well raise and kill whatever we want. So if perfection is not obtainable, then let’s throw out ethics (including intention) all together. This just becomes a reductive, “all or nothing” justification for doing whatever we want, and it negates what we say we already believe, that less suffering is better even if we can’t eliminate it completely. By going vegan, you will not become perfect or even cruelty-free. But you’ll have reduced an enormous amount of suffering to innocent beings who have done nothing to you, just by making some simple dietary and lifestyle changes. Reading over the article again, I really do not think that the author understands what speciesism is. From an utilitarian position (which I do not agree with btw) just because one values some members of a species more than members of another species, does not mean that one is being speciesist. A utilitarian will value individuals based on their capacity to suffer, and while this may mean valuing most humans more than animals, species is an irrelevant factor. However if one were to value all humans, no matter what their level of sentience, more than any animal, such as valuing a healthy animal more than a severely mentally disabled human regardless of any characteristics they actually hold, then one is being speciesist. So when the author says “From there, it can be argued that humans deserve of special consideration because we have a special kind of sentience that no other animal has”, he is incorrect as some humans do not have this ability. So what about a severely mentally disabled person that has less sentience than an animal? If one person is torturing another, most people who consider it acceptable to use lethal force to defend themselves. If it is true that not conducting research is the the same as torture, why then is it not permissible to conduct research on another human? They would in effect be torturing the disabled by not letting themselves be killed for research purposes right? On a philosophical level, I don’t have a major problem with testing on humans with no sentience, such as brain dead people or babies with anencephaly. There would still be some moral considerations, such as the feelings of relatives and parents. There would be technical reasons why testing on these subjects would be difficult. If you test drug X on an ancephalic infant and get reaction Y, how do you know that there hasn’t been a reaction between the drug and the medical condition? I was recently turned down from a clinical study because of my health issues. That’s not to say testing on non-sentient humans can’t ever take place, but there would be difficulties. I believe it is high levels of sentience/sapience that indicate whether a being can use another being as a means to an end. If someone genetically uplifted mice, or any animal to human levels of sapience, I’d say that the sapient mice should not be tested on, and would have a right to use non-sapient rats or sheep or fish for their benefit. Yet I am sure we would both agree there are situations when even full moral agents should be denied this right, such as when one person is torturing another. The person being tortured has the right to use lethal force if necessary to stop the torturer right? Now, you said previously that not obtaining medicines from research was morally equivalent to torture. Does that mean that by not letting scientists do invasive experiments on me, that I am in effect torturing people who could medically benefit from such experiments? Are we then justified in forcibly experimenting on a fully competent human being? How would you respond to such a dilemma? I don’t agree at all. Inaction is a cause of suffering. By banning the research which relieves pain, you would inflict pain. There is no measurable difference between pain that has been deliberately inflicted, such as in torture, and pain that happens because of a medical condition which could be remedied through animal research. An able bodied person is able to generally live without pain, without mobility problems, without life threatening conditions. A disabled person should be able to live in the same pain free, mobile and safe condition whenever possible. Inflicting pain, immobility, and danger by banning research is disablist. Replacing speciesism with disablism isn’t ethical. Ultimately I don’t accept that sentience should be seen as digital. I think a human’s sentience is at a higher level than that of a mouse, or a sheep. We can have this conversation, can draw on the thinking and concepts of people from ages past, draw metaphors and run thought experiments. We can use the scientific method. We can settle questions like this through democracy. Animals cant’. I believe sentience is analog, which is why using animals, with careful controls, is sometimes acceptable. I would personally happily sacrifice the life of a mouse to save the life of a dog or a chimp, again because I don’t believe that they have the same level of sentience. I’m also happy to see a ban on testing on the great apes for the same reason. I don’t see myself as speciest, as I don’t think species is a relevant means of discrimination. I am sapientist, as I think the interests of sapient animals would generally outweigh the interests of non-sapient animals. In action cannot be said to be a cause of suffering, it merely allowed it to happen. Now we might have a responsibility to take some form of action, but that does not mean we would be justified in treating animals as means to an end. There is a fundamental difference between causes and conditions, and it makes no sense to say the animal cause suffering when there are clear biological mechanisms that we all accept as the causes of illness. I would say you are justified in having the operation. It was wrong that the research was used to create the knowledge of how to do the operation, but you then using that knowledge does not cause any further violations of the animals rights. It was the animal researchers that violated the animals rights, not you. If some medicine actually contained some animal product however, that would be a different matter as that animal was specifically killed for you, and you are using part of its body, which belongs to the animal, for your own means. That knowledge can however and should of be found through non animal research. This may have taken longer and required greater investment in resources, but it would have been the right thing to do. These ethics are not disabilist. They apply to all equally. And if we were to accept your criteria of causation then your own ethics would be disabilist too. Invasive human research on babies could also lead to cures for disabled people, avoiding the problems of animals being at times poor models of human disease. By not allowing such research would by your logic be said to cause their suffering. Why then is your protection of humans against being forcibly used in research not disabilist? As I am sure you can see the argument you are putting forward cannot be held consistently. Come now, I think we both know that is just nonsensical. The animals are not doing any action that cause the humans to become disabled. There is no disease process, other than actual physical trauma, which an animal has ever been described to have caused. And in thst case you would be said to be justified in stopping the snimal by lethsl force if necessary. If you think otherwise you need to consider firstly about your bizarre definition of causation and secondly what implications this would have. One could also make the argument that humans are impinging disabled people’s rights because invasive research on them could also lead to medical advancements. The fact is to say an animal causes disabled people to suffer is just incorrect.. It is the absence of animal research which would be causing the suffering. By using speciesism as a reason not to do animal research, you would be inflicting pain and suffering on disabled people. The animal rights movement would, if successful, be causing pain and even death by inaction. To the person having to deal with the pain there would be no difference between pain caused by inaction, and pain caused by action. I have a spinal condition which led to nerves being trapped between bones. This caused excruciating pain. A couple of operations, made possible through animal research, relieved this pain. Feel free to disagree with me, but please explain how you would have treated my condition. ” indeed many humans possess less sentience than animals” – That quite an amazingly bold statement. Proof, Please? A brain dead human will have no consciousness. Surely having some consciousness is more thsn havng none? Additionally for harder cases we must opperate on the basis of risk. Can you prove that a human who is severely mentally disabled is more conscious than an animal? No. They have no bahaviors we can assess to suggest that they have more consciousness than an animal, and often are less able to learn about and understand the world about them as far as we can tell. Therefore, the statement is justified. You say that ‘no one has the right to use another being’s life as soley a means to an end’. However, by not doing animal research, you could claim that animals were using a disabled person’s life as a means to an end. Realistically, you have to choose between a) doing animal research, and b) hurting/killing people with disabilities. Able bodied humans and most disabled humans are both sentient. By not doing animal research, you would be discriminating against disabled people. That’s disablism. “If one is conscious one is able to bind together different sensory modalities to create one continuous experience, and are be able to create new representations of the world.” I don’t know if that is a good definition of consciousness. Depending on how you define “continuous experience” and “new representations of the world”, you could use this definition to prove not only that animals are conscious, but cells and computers as well. Computers can bind different inputs (sensory modalities) into one continuous stream of information processing, and from that create an output in the form of a world model. Yet, such a computer would no be conscious. You are right, that new representstion must also be able to be affected by emotional states to show it is being subjectively experienced. Animal research also shows that they have cognitive biases, if one caused chronic and unpredictable stress to a rat it causes it to perceive ambiguous stimuli as more likely to be predictive of negative outcomes. Therefore they have subjective conscious experiences. Sentience and the possession of interests is what I value, and by this value we must stop animal research and stop eating meat. Yes, if one is sentient then one has a right not to be treated as a means to an end. For this right its all or none. You are right they would not agree. But Franione would. I would define it as those characteristic which we value, and confer rights. How to justify which characteristics? Do you expect me to solve the is ought divide? Obviously this is not going to happen, but we can demonstrate that a set of values are wrong. If they lead to contradictions, orone is not willing to accept the implications of a set of ethics then they cannot be true. “…which we value, and confer rights” You mean “we human” value? Who confers rights? Ok… what is your set of “morally relevant” characteristics that guide your behavior? If one is conscious one is able to bind together different sensory modalities to create one continuous experience, and are be able to create new representations of the world. Animals such as mice and rats can do this, they have been shown to be able to remember the what where and when of events. Now, I know most scientists call this “episodic-like memory”, yet the experiments are clear, they behaviour shows they can bind together sensory modalities, a cardinal feature of consciousness. There is no evidence that drosophila can do this, and no evidence that ticks can. They are therefore not sentient. I think this is a really difficult question though, well done for thinking of it. There are however good reasons to think that speciesism is wrong. Species is merely a grouping of individuals, and it is the characteristics of individuals that we consider to be morally relevant. A species cannot feel or suffer, individuals can. However not all members of a species equally possess morally relevant characteristics, and indeed many humans possess less sentience than animals. therefore as it is the possession of morally relevant characteristics that confers rights, so IF we give all humans so we must give animals who possess characterises equal characteristics equal rights. It is causing suffering to the dog, and that means that one is justified in stopping it from causing suffering to protect the interests of the dog because as in this case as it is your pet, you have responsibility for its welfare. We protect the dog not because of its species but because it is our pet and violating the rights of others affects ones own rights. Now let us say you reject that argument, and still believe in speciesism. The argument from marginal cases can still be held to be true, and that using species in this context to justify animal research is wrong. …”morally relevant characteristics” Can you please define this term specifically. Given a characteristic, what test do you do to test if it is “morally relevant” or not? Many sick and disabled people will pass any test for sentience you care to make. Stopping animal research will inflict pain and suffering on sick and disabled people. The ‘rights’ are largely a zero sum game in this situation, you’re just replacing speciesism with disablism. Seeing as many disabled people will possess ‘morally relevant characteristics’, I’d argue that your argument would confer ‘rights’ on disabled people. All disabled people have rights! I never implied otherwise, however no one has the right to use another being’s life as soley a means to an end. Since this principle applies to the disabled and non disabled alike, it is not disablism. I agree with this position. I’m personally convinced that some essential medical advances were only made possible because of animal research. Some of those medical advances have treated and even cured life threatening and life changing illnesses and disabilities. Banning animal research would inflict pain and suffering on people with health problems. This is discrimination against these people. You have to choose between speciesism and disablism. I personally believe that the life of a disabled human is worth as much as that of an able bodied human. Giving ‘rights’ to animals would inevitably reduce the quality of lives of people who aren’t in tip-top health. Maybe this is why support for animal rights is high amongst more mature people, who may be living with health problems. Your last sentence seems in direct contradiction with the rest of your comments. Maybe there is some mistake? It’s a typo, he meant to write “low” rather than “high”. Yes, my error. I meant to say ‘support for animal research’, not animal rights. yes, but even more medical advances have been made possible through experimenting on humans during the world wars- does that mean we should continue that as well? And people continue to do the same old experiments on animals even when its been proven that a cure for a disease in an animal basically never works in a human.